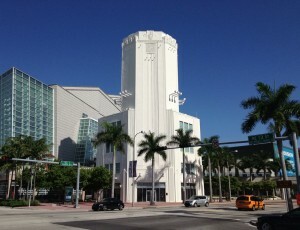 Performing its own arabesque on 13th and Biscayne Boulevard is the iconic Sears Tower that stands at the heart of the Adrienne Arsht Center for the Performing Arts in downtown Miami. 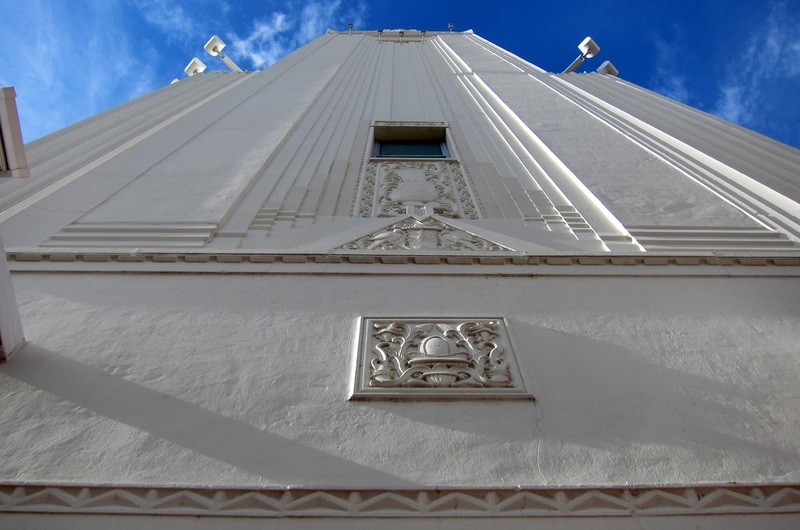 Built in 1929, the Sears, Roebuck and Company store at 1300 Biscayne Boulevard marked the beginning of commercial growth in the northern areas of downtown Miami during the late 1920s and early 1930s. The Sears Tower (now known as the Carnival Tower) was the crowning architectural achievement of the Chicago firm Nimmons, Carr & Wright. 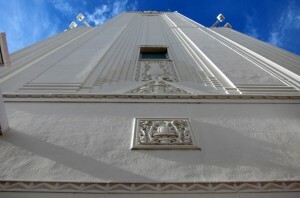 The Tower’s low relief decorated façade with its simple yet bold octagonal design was a precursor to the Art Deco architectural style that was popular in Miami Beach in the 1930s. 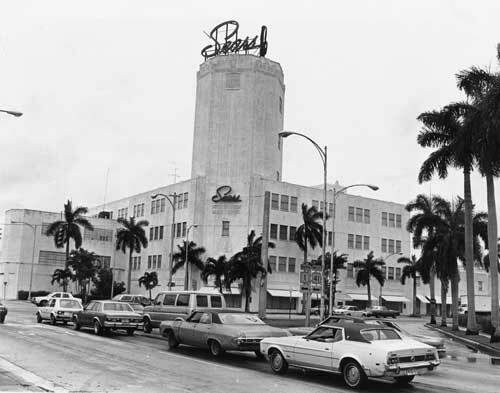 As businesses emerged and became more centralized in Miami, Sears saw a decline in sales. The Biscayne Boulevard store finally closed its doors in the mid-1980s. 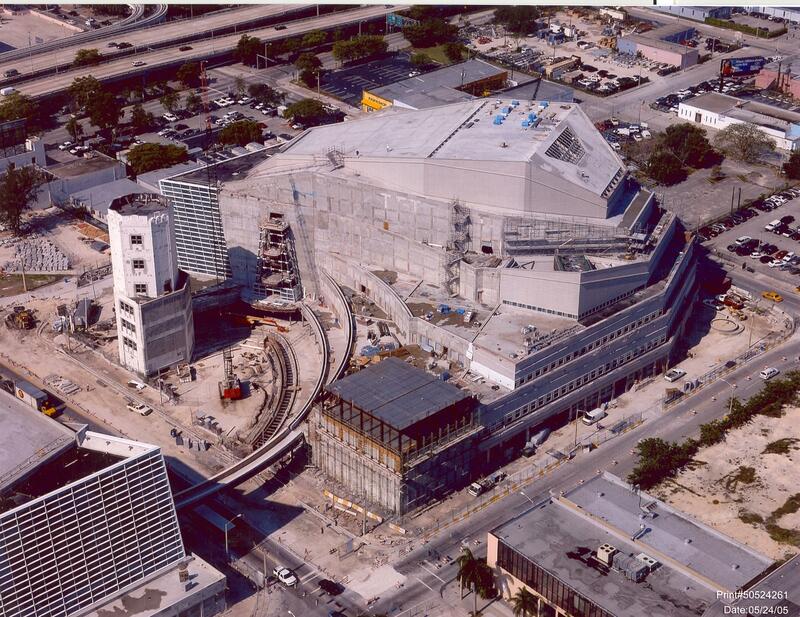 At the same time several of Miami’s arts and culture leaders were pushing for a performing arts venue, ultimately creating the Performing Arts Center Foundation in 1990 in order to raise funds for future development. The Performing Arts Center Trust was established in 1991 to coordinate the planning, design, and construction of the new center. 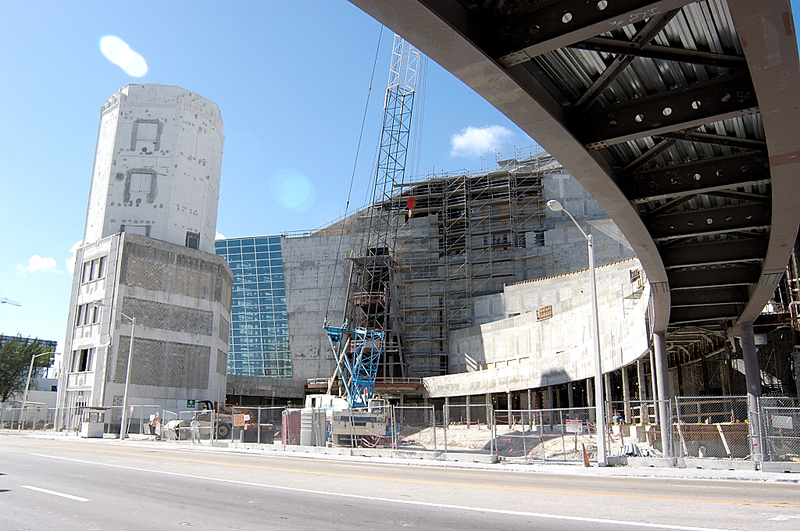 That same year Sears donated 3.57 acres of the former department store site to be part of the Center’s development. Pelli also worked with commissioned artists from Miami-Dade County’s Art in Public Places to create installations at the Center that examined visual language juxtaposed with the performing arts. The five international artists were José Bedia, Cundo Bermúdez, Gary Moore, Anna Valentina Murch, and Robert Rahway Zakanitch. 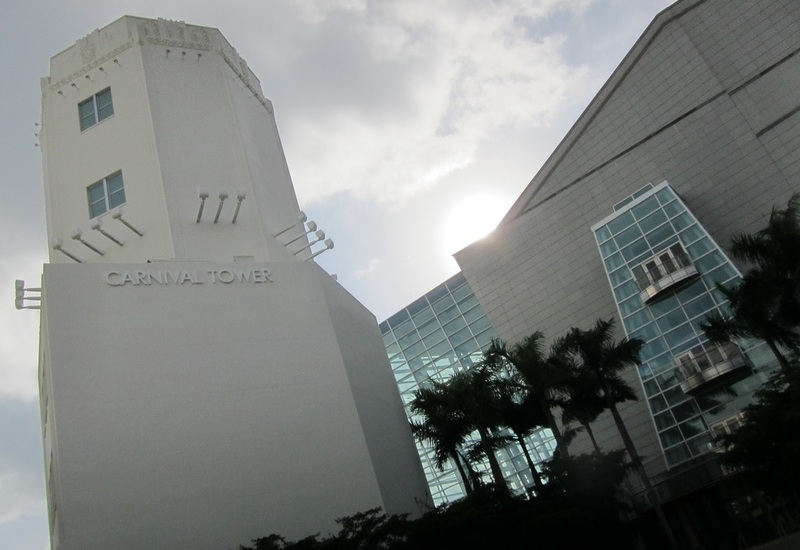 In January 2008 Miami banker and philanthropist Adrienne Arsht donated a $30 million gift to the Center, which now bears her name. In August 2010, the Sears Tower, which was added to the National Register of Historic Places in 1997, housed the Arsht Center’s Bombay Sapphire Lounge on the ground floor, which is currently not in use. For an in-depth account on the history of the performing arts center, refer to Octavio Roca’s Prologue to Greatness: The Creation of the Carnival Center for the Performing Arts (2006). This entry was posted on Thursday, January 9th, 2014 at 3:26 pm and is filed under Architects, Architectural Styles, Art Deco, By Location, Cesar Pelli & Associates, Contemporary, Downtown Miami, Miami, Neighborhoods, Nimmons, Carr & Wright, Preservation, Videos. You can follow any responses to this entry through the RSS 2.0 feed. Both comments and pings are currently closed.